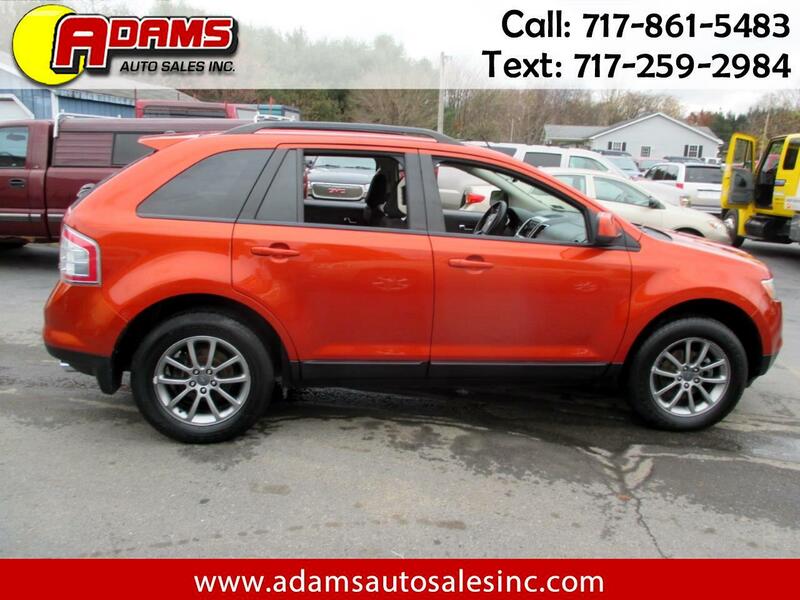 Used 2008 Ford Edge 4dr SEL FWD for Sale in Lebanon PA 17046 Adams Auto Sales Inc.
***1 OWNER*** This beautiful orange 2008 Ford Edge SEL 2WD is ready to hit the road with you behind the wheel. It is equipped with a V6 3.5 liter engine and an automatic transmission. It's rear spoiler, privacy glass and alloy wheel give it a sporty look. It is load with options like privacy glass, roof rack and keyless entry. Brand new inspection and emissions, good thru December of 2019. Low miles, only 95,049 original miles. It comes with a 3 month / 4,000 miles (whichever occurs first) powertrain warranty. Ask a salesman for more details. Free Carfax report is available. Stop in and take it beauty for a test drve today. This Ford Edge SEL won't last long!